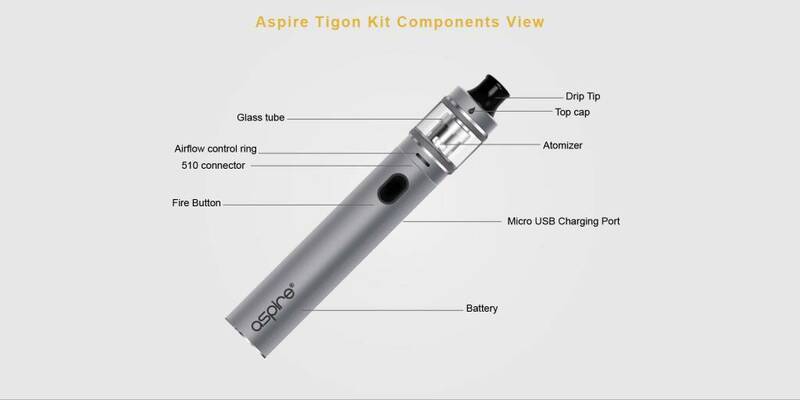 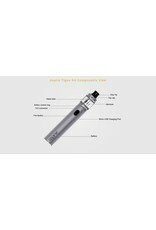 The Tigon from Aspire is a new "pen style" mod that is great for cloud chasers and MTL (Mouth-To-Lung) vapers alike! 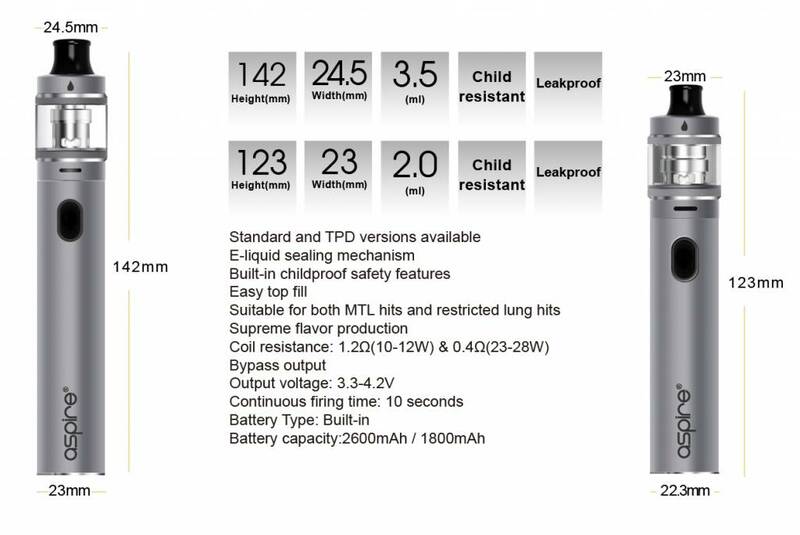 Inside is a 2600mAh battery surrounded by a zinc-alloy chassis construction, making it moderately resistant to drops and falls when compared to other similar devices. 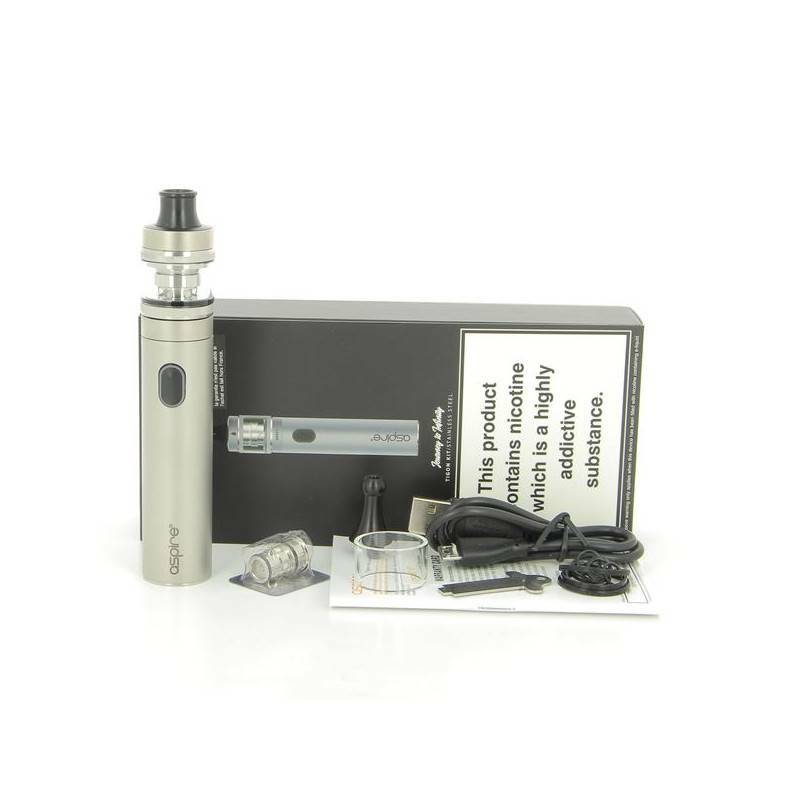 With a single firing button, this kit is easy to learn and understand even for brand new users. 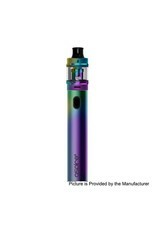 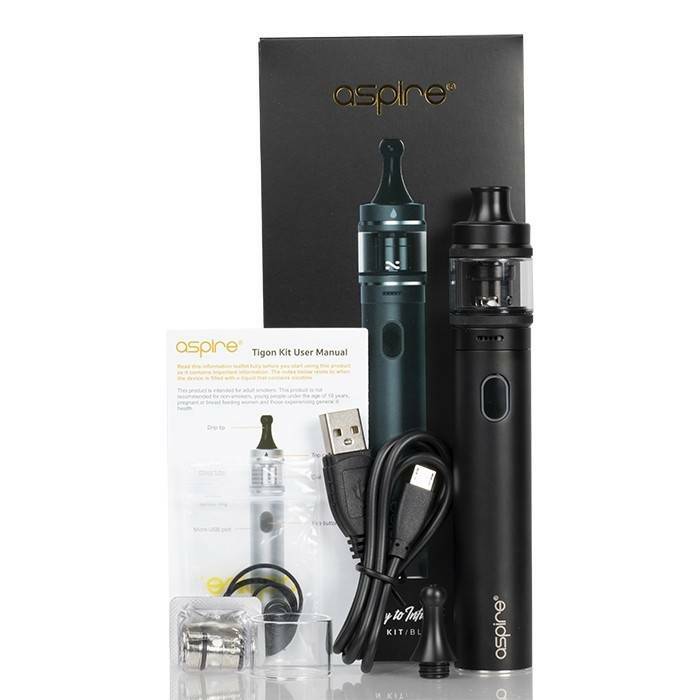 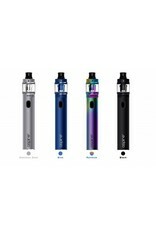 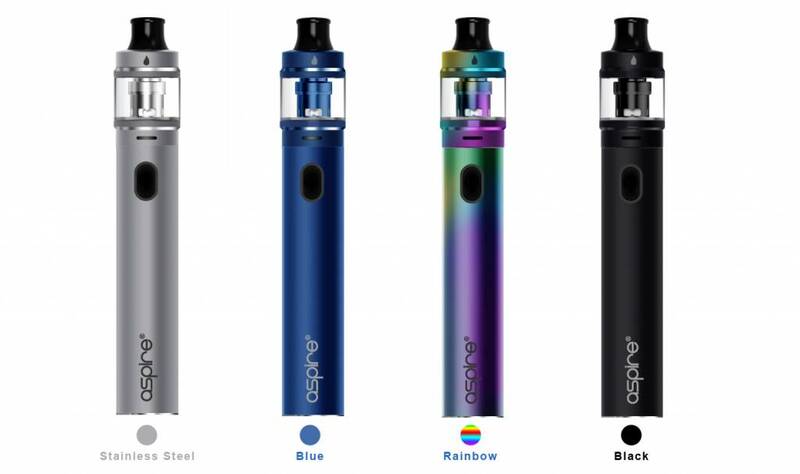 Paired with the battery is the Aspire Tigon Tank; a versatile sub-ohm tank with airflow wide enough to blow thick clouds, while also being adjustable enough to get your perfect MTL hit! 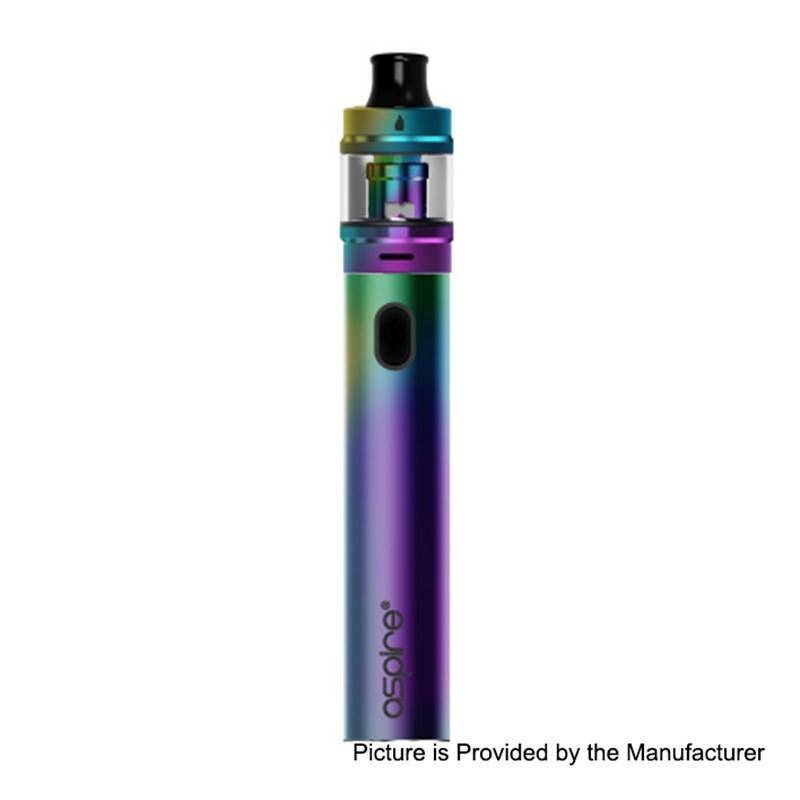 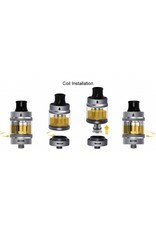 The tank also has a spring loaded inner sleeve where the coil installs; which will drop down to seal the coil ports and keep liquid from dripping out during coil changes.